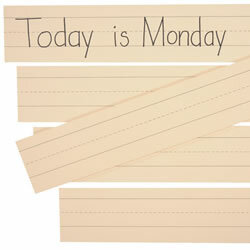 Help students organize and classify with Kaplan's selection of clear pocket charts and stands. 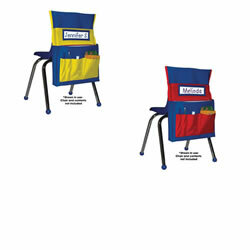 Products cover a range of material, including weather, seasons, holidays, and the classroom schedule. 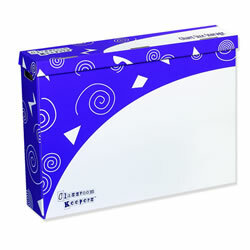 Kaplan also offers chart storage folders, hooks, and pocket accessories. Full day? No problem with this pocket chart. 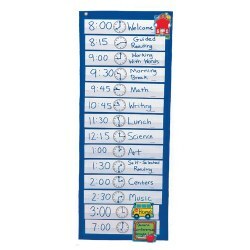 Fill in your own schedule with 14 horizontal pockets, and 16 scheduling cards. Includes a resource guide and measures 13" x 33". PreK & up. Focus student attention on whiteboards, blackboards, pocket charts and more. 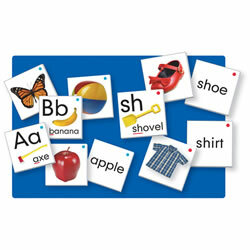 Allows the isolation of letters, words, parts of speech, context clues, and print concepts in literacy. Supports demonstration of place value, coin value, identification of numerators and denominators and different types of angles. 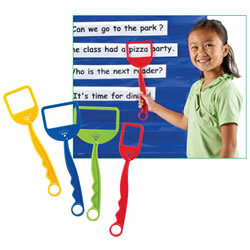 Features 14"L plastic swatters in four colors and frame sizes. 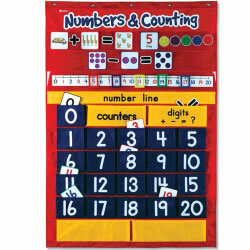 Largest frame measures 5"L x 2.5"H.
This nylon pocket chart measures 13" x 42 1/2". 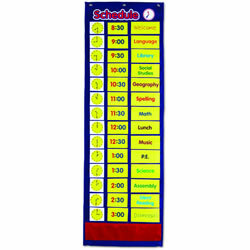 Plenty of room for displaying the classroom schedule with 14 rows, 3 pockets in each row, one for the clock, digital time, and the subject. Includes 48 write/wipe cards, (13 activity name cards, 15 clock cards, and 20 time cards with blank backs), and 3 storage pockets on the bottom. The SimpoSquare™ A Frame is convenient and easy to use. Holds two signs -- one on each side, and an optional rider sign on top. Change signs in seconds by sliding them in and out of the stay tabs. The stay tabs ensure the signs stay in place. 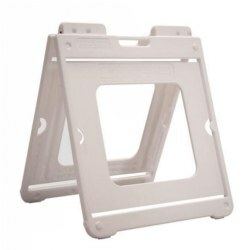 Sign holder can be used indoors or outdoors and features a molded handle for portability and non-slip feet. Can internally ballast the frame with dry sand, if needed for extra durability. Available in two sizes. Grades K - 5. 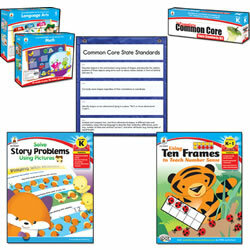 The Daily Standards Pocket Chart provides teachers with the perfect place to display the standards and "I Can" statements from the The Complete Common Core State Standards Kit (Items #52631 through #52636) that they are currently focusing on in classroom. 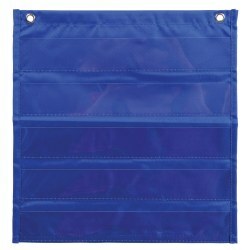 Measures 13" x 14" with 5 clear pockets (13" x 2") with 2 grommets. Cards are not included. 4 - 8 years. 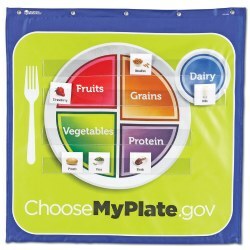 Includes 90 picture and word cards representing the 5 categories identified in the USDA MyPlate model, and 2 back storage pockets. 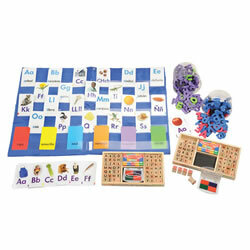 Provides a hands-on way to classify and learn about balanced meals. 28" x 28". Use these pockets again and again! Peel and stick tape on back. 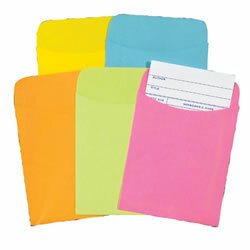 Pack of 25 standard pockets in 5 colors, 5 of each color. 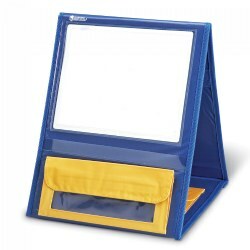 Ideal for storing larger materials like maps, charts, and large calendar. Designed with hand holes for easy carrying. Folders sold separately. Measures 30 3/4" x 23" x 6 1/2". Keep your center organized with this handy pocket chart. 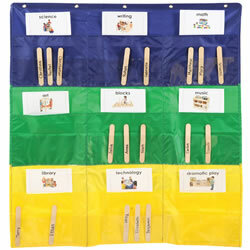 Chart has 9 colorful fabric storage pockets and 9 clear card pockets. Measures 34"W x 37"H. Contents not included. 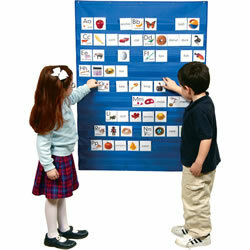 This wall chart is the perfect size to accommodate all of your classroom needs. Heavy duty construction to allow for many years of use. 34"W x 45"L. Cards sold separately. Teaches 52 beginning sounds (A-Z plus 26 blends). Full color photos make recognition easy and large 3" tall cards are pre-cut for immediate use. Cards fit most standard wall charts. Activity guide included. 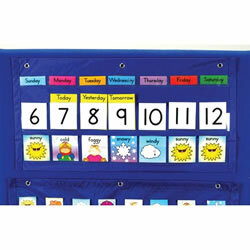 All year around pocket chart measures 38 1/4"L x 25 1/2"W and has 48 see-through pockets. 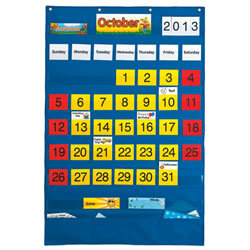 Includes month, date, year, day of the week, weather, seasons, and special events cards. Personalize the birthday and special events cards with a dry-erase marker. Three extra storage pockets on bottom for easy storage. 100 bilingual cards. Reverse side of cards are in Spanish. 100 sentence strips for our pocket charts, 24"L x 3"W, 1/2" ruled. 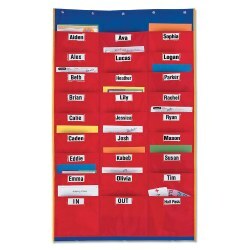 High quality, durable wall chart with 10 see-through plastic pockets displays entire word cards, pictures, or sentence strips, hiding nothing! 100% tough nylon fabric. 5 grommets for hanging. Word and picture cards sold separately. 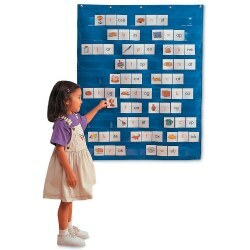 This self-standing, double-sided pocket chart features magnetic board and three storage pockets perfect to use with magnetic tiles. Measures 12 1/4"W x 14 3/4"L x 4"H. Collapses for easy storage. Letters and numbers are sold separately. Grades K - 3. 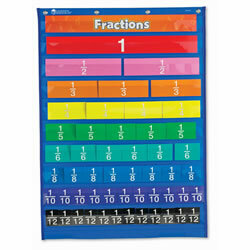 Teach counting, sorting, place value, and grouping with this heavy-duty chart. 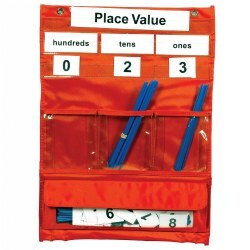 Includes a set of 20 double-sided number cards, 3 double-sided title cards, 200 blue plastic counting straws, pockets to store everything, and an activity guide. Measures 13"W x 18"H.